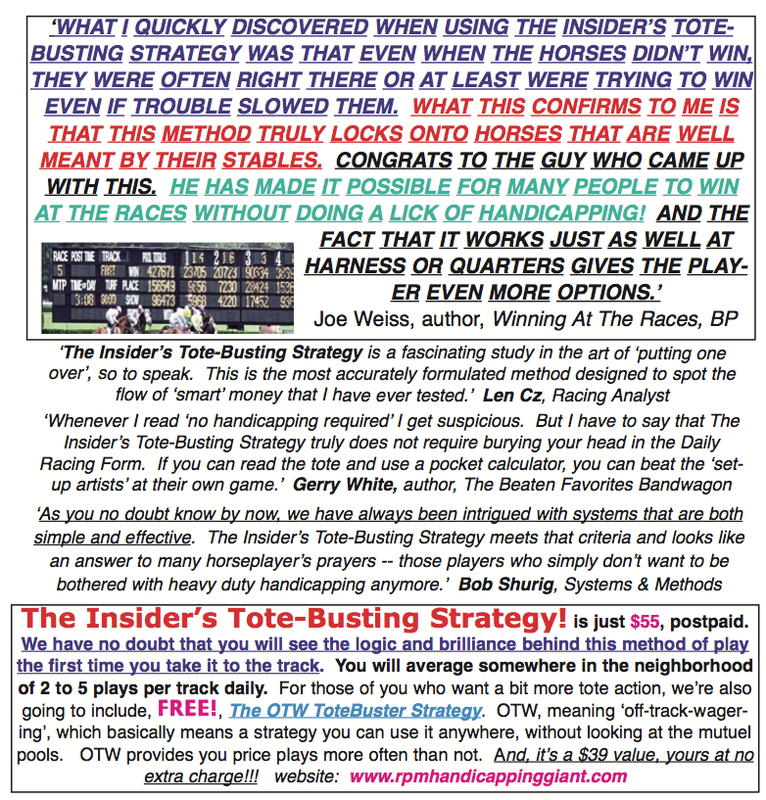 The INSIDER’S TOTE-BUSTING STRATEGY – A True Barometer of ‘Smart Money’ Flow! The Best-Selling Toteboard Method of ALL TIME! 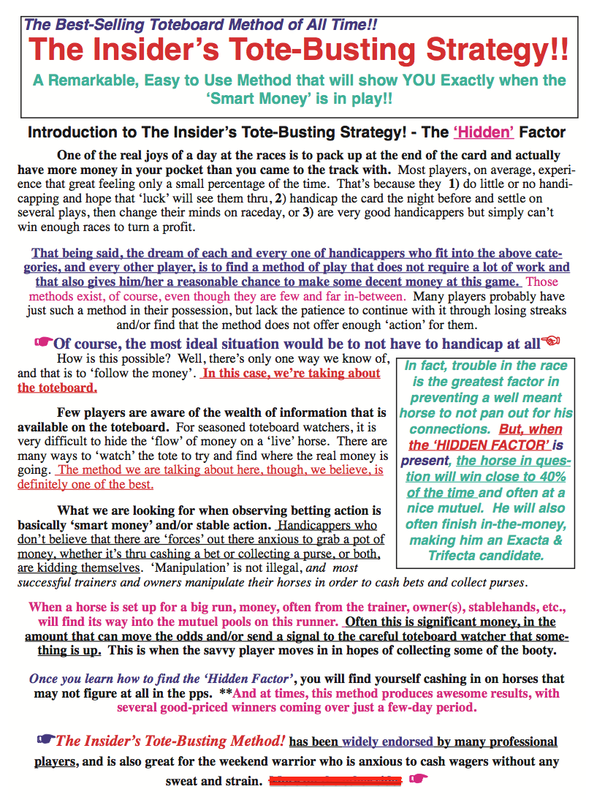 Included: A 15-day ‘live’ workout that netted the author over $18,000 in profits! 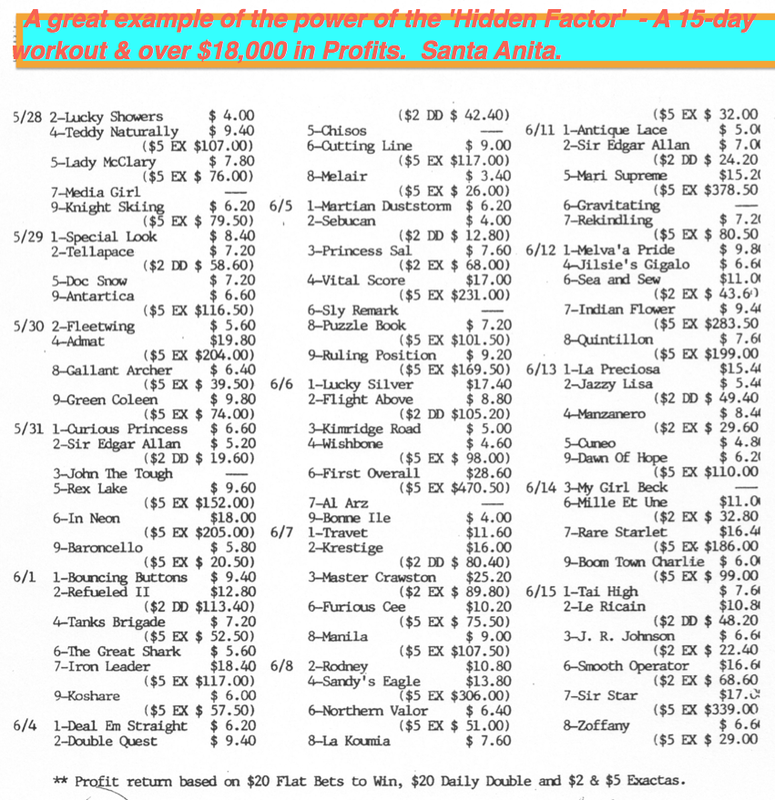 Below find a 15-day workout using ITB at Santa Anita – using the recommended wagering strategy the ITB employs win bets and ‘key’ horses for Exactas, Trifectas, Daily Doubles, etc.